When it comes to the modern diet, salt is one seasoning that cannot be done without. It is one of the best flavor enhancers we have. That said, we should take notice of the type of salt we use - they are not all the same. Just look at the shelf in your supermarket where salt is sold and you'll see a confusing array of choices, from good old sea salt right through to pink Himalayan salt. Each salt type has its own unique flavor and consistency and varies regarding the levels of sodium and the minerals in it as well. Read on for help navigating through the "salt mines" so that you can make an informed decision about the salt you use. To start off with though, we need to determine what salt actually is and why there is so much debate about it in health circles. Salt is a mineral and it occurs naturally in crystal form. The primary ingredients are chlorine and sodium. Both these elements are vital, in the right quantities, for all animal life, and for us humans it plays an important role in the proper functioning of the nerves and brain. For the most part, salt mines or salt pans are the sources of the salt we ultimately buy. Salt has a number of uses the most common being, of course, as a flavoring,but there are additional practical uses as well. Salt is a great food preservative and an excellent anti-bacterial agent. Salt can, however, have negative effects as well. Use too much and you are throwing out the osmotic balance in the blood. This can cause hypotension. Research has proven that reducing your intake of salt can be an effective way to normalize your blood pressure. No one has yet proven a direct link between a reduced intake of salt and a reduced chance of having a cardiac arrest, having a stroke or dying. A lot of the salt in our modern diets comes from processed foods. If you stick to food that is as close to its natural state as possible, you really do not need to be concerned about the small amount that you add to your food for seasoning. What it boils down to: There are two primary elements in salt - chlorine and sodium - both of which are necessary for life. High levels of salt ingestion can cause hypotension. 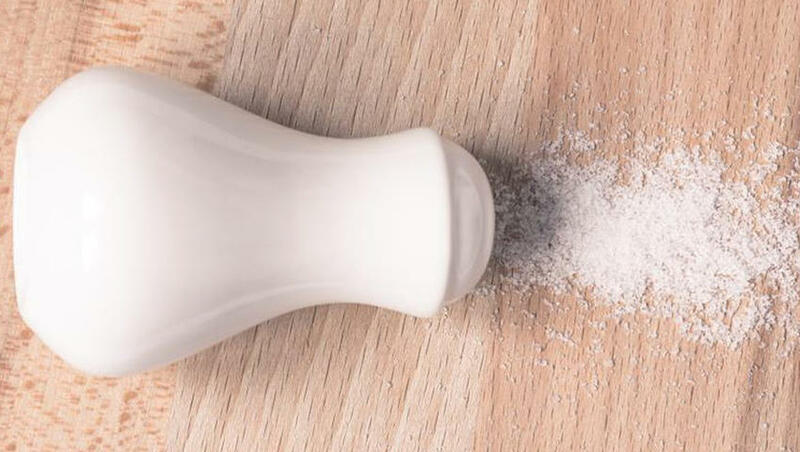 There is no other scientifically proven reason for reducing salt intake. Ordinary table salt is what most people use. Normally, this is very refined, meaning it is ground up into tiny bits and the minerals and any impurities are removed. Processed salt can cake (become clumped together) easily so salt refiners add in chemicals to prevent this allowing it to flow. The salt used for human consumption can contain no more than 3% of impurities or trace minerals. More importantly though, iodine gets added more often than not. This was done initially in an attempt to battle iodine deficiency which is now reduced but still widespread. What that means for you is that you need to be aware of the iodine content of your food. If you don't get it in your salt, be sure to get enough from iodine-rich foods like eggs, dairy and fish. Kelp tablets are an easy way to get your iodine and it is the supplement that I use on a regular basis myself. What it boils down to: Ordinary salt is pretty much composed of Sodium chloride. It may also contain chemicals to prevent it from sticking together and often has iodine in as well. Salt from the ocean is simply harvested by allowing the seawater evaporate. Sodium chloride, once again, is the main ingredient but there may also some trace elements, depending on where it comes from and the processing method used. Minerals might include zinc, potassium and iron. It is usually sold in a coarser format and so is likely to be more flavorful when used on food. Taste could vary between brands due to the differing levels of trace elements.Salt with a high number of trace elements and impurities is darker in color. The downside of sea salt is that it might also have dangerous trace elements such as lead because our oceans are polluted. What it boils down to: Salt from the ocean is harvested when seawater has been allowed to evaporate. It is much the same as non-sea salt but may have more trace elements in it. The danger is that there could also be some heavy metals in it as well. Pakistan is where much of this salt originates - more specifically from the Khewra mine - one of the biggest salt mines in the world. The salt has a delicate pink tinge due to the iron oxide in it. In addition, it has trace elements of magnesium, potassium and calcium and it actually has less sodium than other salts. There are those that rave about this salt's flavor but I can't really tell the difference. Aesthetically though, it is very pretty and can help make your food look pretty. What it boils down to: The pink tone can be attributed to iron oxide within the salt. There are some elements of potassium, magnesium and calcium. Initially, kosher salt performed a religious function. In Jewish practices, blood needs to be removed from meat before it is considered kosher and permitted to eat. The main difference between kosher salt and regular salt is the consistency. Kosher salt is coarse and flaky and does and the granules are bigger. Some people prefer to cook with it because it is simpler to handle. If eaten immediately, before it can be dissolved, it does seem to taste a lot stronger that ordinary salt. The upside is that there are fewer additives. What it boils down to: The form of kosher salt makes it useful to chefs. Otherwise it is much like ordinary salt but likely has fewer additives. The French made this salt popular. It has a lower sodium concentration and some trace elements in it as well. It has some moisture in it and a grey tint. What it boils down to: This is a moist salt with a grey hue. It is derived from seawater and has some minerals in it. So, What is the Difference on the Tongue? 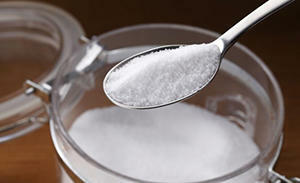 Most gourmands and cooks will look into the flavor, color, convenience and texture when considering which salt to use. Taste and color will be influenced by what trace elements and impurities are present. Taste can also be influenced by the granule size - the bigger the granule, the more intense the flavor seems. If, however, you are cooking with salt, there really won't be much of a difference in flavor once it is mixed in. 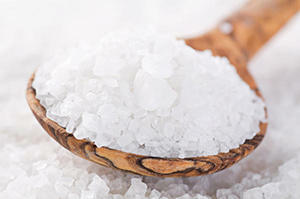 What it boils down to: Salts typically vary in flavor, texture and color..
Celtic salt contains the lowest sodium content as well as the lowest concentration of trace metals, except for potassium. The lowest potassium content is found in Himalayan salt. However, none of the above salts is a serious source of minerals as the concentrations are tiny in all of them. In order to get your daily dose of magnesium from Celtic salt, you would have to eat 100 g of it (which we don't recommend). That is why there is no point in choosing one salt over another due to the mineral content. There do not seem to be any studies that have compared the health benefits of the various types of salt. I would imagine though that there would be very little difference anyway. The basic makeup of each salt is essentially the same. If you prefer a more natural (less processed) salt, you may be cutting out a few additives from your diet. But ultimately, salt should be for its flavoring properties, not its health effects. You may need to consult with your doctor to check your salt levels in your body. In order to be healthy, you may need to modify your diet or need to take additional supplements to bridge the nutritional gap.